Now that I am venturing into the land of intern and hopefully professional, I'm having a grand ol' time looking for suits. You know me, I don't want to wear any old suit, I want a suit with character, with quirk! 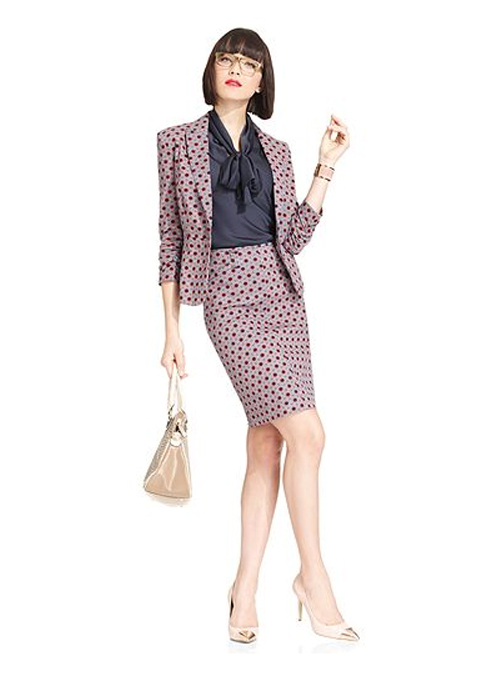 A suit like this one by Ellen Tracy via Macys. Character, check. Quirk, check. Bow tie blouse, added bonus.